Egypt, government officials said Thursday, will “not be pressured” by the United States into changing its policies on how to deal with Islamist radicals. “Egypt will not submit to American pressure,” a government spokesperson said in the wake of an announcement by Washington that it would withhold some military assistance. On Wednesday, the State Department confirmed that it would cut hundreds of millions of dollars in aid to Egypt to register displeasure over the military's pace of restoring democracy following the ouster of President Mohammed Morsi. The U.S. provides $1.5 billion in annual aid to Egypt, but the State Department did not provide a dollar amount of the aid being cut. State Department spokeswoman Jen Psaki was quoted as having said the United States will withhold delivery of certain large-scale military systems, as well as cash assistance to the Egyptian government, until "credible progress" is made toward an inclusive government set up through free and fair elections. With that, he added, “the decision to delay aid is a mistaken one and unacceptable. It broadcasts the wrong message to those who wish to interfere in the relationship between Egypt and the United States. This stance does not take into account the fact that Egypt is fighting terrorism,” he said. The Egyptian spokesperson stressed that Cairo was acting against the Muslim Brotherhood “not in order to satisfy America's desires, but in response to the needs of the Egyptian people.” He called on the administration of President Barack H. Obama to “reconsider” his decision. 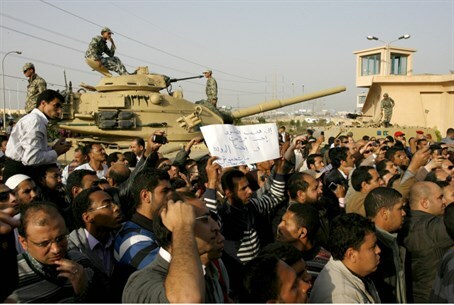 A report Thursday said that Israeli officials were concerned over the decision by the U.S. to cut military aid to Egypt. According to the report, Israeli officials fear that the cuts could jeopardize Egypt's commitments to the Camp David Accords. A report in the New York Times quoted an Israeli government source as saying that the ramifications of holding back aid could backfire; instead of convincing the Egyptian government to act in a more democratic manner and halt the persecution of Islamists, the move could radicalize Egypt even more.